April 23, 2016 is the 400th anniversary of Shakespeare’s death (and 454th anniversary of his birth). Marin Shakespeare Company will be joining Shakespeare lovers around the world and beyond in celebrating this milestone. Led by Marin Shakespeare Company Artistic Director Robert Currier and Director of Artistic Engagement Erin Merritt, we will read, sing, dance, and even fight all 154 of Shakespeare’s sonnets, joining in world-wide celebration of the 400th anniversary of Shakespeare’s death. This is an open mic event so come add your voice to the merriment! Drop by any time or Sonnet Sign-Up – mail this form, email education@marinshakespeare.org, or phone Erin at 415-499-4487—to read or perform your favorite sonnet. Queen Elizabeth I will also pop in—be there when she appears! Burke Trieschmann, guitar: has been playing and performing music at concerts, clubs, dances, and recording sessions in the Bay Area for many years as a solo artist and in several bands. His production company, Open Door Productions, provides sound design, recording, and audio production services for many applications and media. Visit www.opendoorprod.com for more information. Charlie Hancock, accordion: has played accordion & piano in the Bay Area for many years in many styles, mainly for contra & English country dancing. Join Barry Kraft for a celebration of William Shakespeare on the occasion of the 400th anniversary of his death. 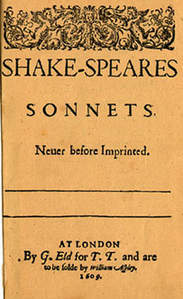 Kraft will share poems about the Bard and discuss his plays. In 28 seasons as actor and dramaturg at the Oregon Shakespeare Festival, Kraft has dramaturged nearly 50 Shakespeare productions as well as Equivocation, The Cure at Troy, and Arcadia, among others. Numerous acting credits include OSF, the Colorado Shakespeare Festival, Utah Shakespeare Festival, Old Globe, San Jose Repertory Theatre, Berkeley Shakespeare Festival, Marin Shakespeare, and ACT, among others. He has been in 87 full productions of all Shakespeare’s 38 plays (more than 100 roles). He has written Shakespeare Insult Generator and has recorded several books on tape for Blackstone Audio, including Ovid’s Metamorphoses. Kraft is also a teacher and a guest lecturer. Location: 51 Tamal Vista Blvd, Corte Madera, CA 94925. Free. Shakespeare and NASA: Students at Short School in San Rafael and Lynwood Elementary in Novato will participate in a live Education Downlink with the International Space Station featuring Earth actors from around the globe and astronauts speaking Shakespeare, with astronauts answering questions about Shakespeare and space. April 18 – 22, 2016, in conjunction with the Shakespeare Theatre Association.